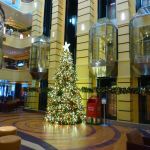 Christmas is a wonderful time of year, but how far do lines go to deliver a magical experience aboard their cruise ships? 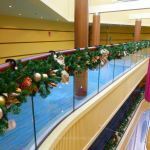 Unlike supermarkets where Christmas begins before the kids go back to school, cruise lines wait until early December before kicking off their festivities. Christmas trees of all shapes and sizes form the basis of onboard decorations, with garlands, poinsettias, and wreaths often decorating atriums, service desks, and restaurants. Where there are Christmas trees, there are usually unmissable tree lighting ceremonies too. Carnival even erects classic American mailboxes so that children can write and post their letters to Santa. 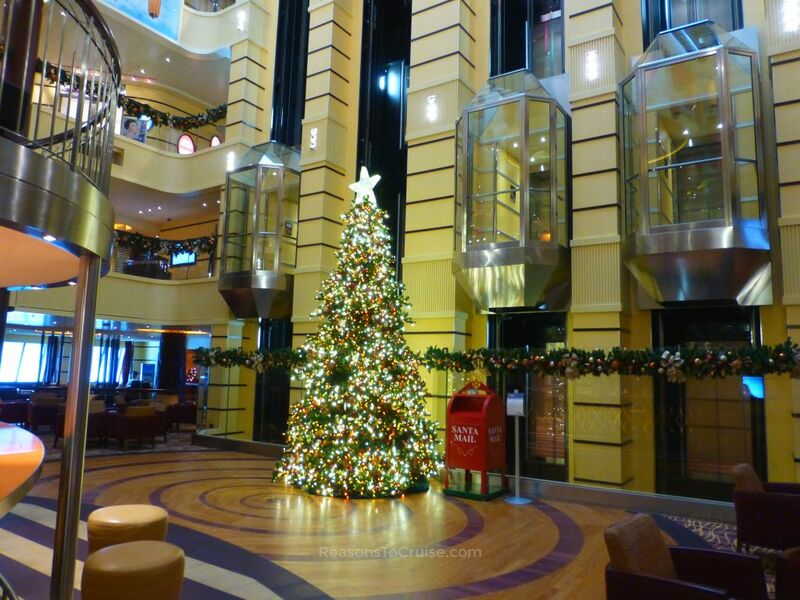 P&O Cruises' fleet uses 249 Christmas trees, sprinkled with fairy lights and over 44,000 decorations. MSC Cruises splashes 60,000 baubles across its 1,200 trees. Gingerbread houses are a Christmas staple, and these tend to appear closer to Christmas week. 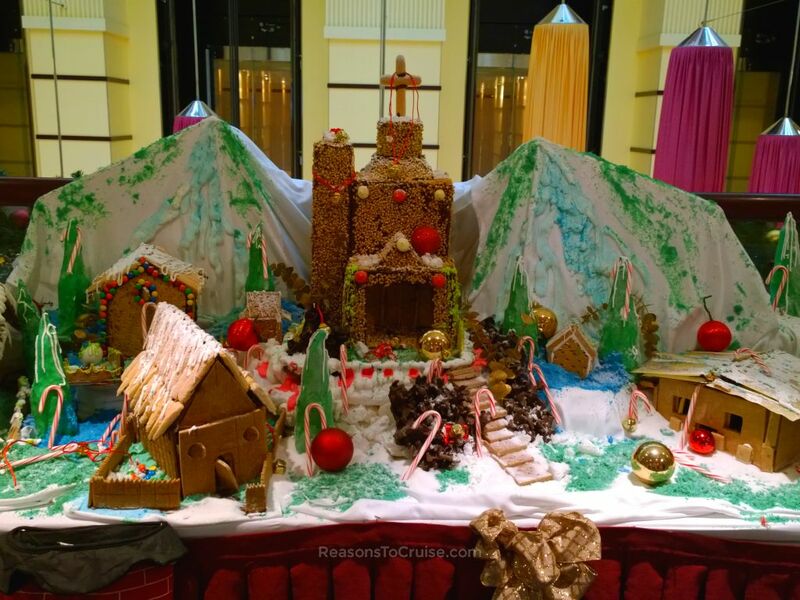 For the ultimate gingerbread house, head onto a Disney Cruise Line ship. Life-size houses are a centrepiece in a lavish and spectacular Christmas display. On some ships, snow falls on-demand in the atrium as part of organised celebrations. Some cruise lines choose to offer festive-themed meals and snacks throughout December, whereas others concentrate their efforts on the big day. Roast turkey with all the trimmings is a staple on most cruise lines on 25 December. American ships serve up pumpkin pie, British ships offer Christmas Pudding, and the remainder tends to offer traditional seasonal options. Crystal Cruises offers Christmas goose alongside the traditional roast turkey and chestnut stuffing options. Hurtigruten serves traditional Norwegian Christmas fare, including Julekake, a sweet Christmas bread made with raisins, candied lemon peel, nuts, and cardamom. Costa Cruises serves up traditional Italian dishes, such as Cappelletti in Brodo (pasta served in a broth), alongside the traditional roast turkey. Across P&O Cruises°' fleet, 158 chefs prepare 1,100 turkeys while passengers guzzle their way through 600 bottles of Champagne. Fred. Olsen Cruise Lines°' chefs prepare nearly three-quarters of a tonne of turkey, cook 744 Christmas puddings, and bake 13,800 mince pies. The cruise line even orders 89 tins of Quality Street and 11,000 crackers for good measure too. Silversea's passengers devour a tonne of turkey, 2,200 Christmas Pantone, 2,500 bottles of Champagne, and 12,000 bottles of vintage wine during the Christmas period. December is a good time for cruise lines to roll out festive variants of dishes and snacks. For example, Saga dishes out mince pie ice cream aboard its cruise ships. Azamara Club Cruises°' Christmas cookies pair nicely with the eggnog that flows on board. 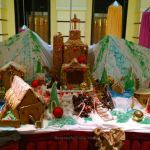 Princess Cruises dishes up gingerbread mousse, and on Seabourn's ships, a basket or plate of festive nibbles greets passengers in every suite following the turndown service on Christmas Eve. One of the greatest perks of a Christmas cruise is that someone else cooks dinner. No stress, no hassle, no strategic planning, and best of all, no washing up at the end! Better still, gala dinners often take place on New Year's Eve as well. Expect equally sumptuous meals to celebrate the dawn of a new year. Expect classic Christmas films to air on the in-cabin televisions or poolside screens. You will also hear ever-popular tunes piped in as background noise throughout the ships. 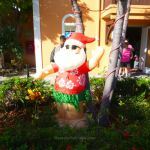 Santa makes an appearance, usually in a grotto, on ships across the world, including those belonging to Celebrity Cruises, Carnival Cruise Line, Costa Cruises, Disney Cruise Line, Holland America Line, Princess Cruises°, and Crystal Cruises. He makes an appearance on Fred. Olsen Cruise Lines' ships only if children are on board. On P&O Cruises, Celebrity Cruises, Silversea, Princess Cruises, and MSC Cruises ships, he leaves small presents for children. P&O Cruises distributes 21,000 gifts across its fleet, while LEGO and Chicco-branded toys are in order on MSC Cruises. Julenissen, the Norwegian Father Christmas, visits Hurtigruten's ships. Cruise lines tend to host special festive productions, from pantomimes and nativities to carol singing and production shows. Carnival's Holiday Show is a production show featuring an oversized faux fireplace and a Christmas tree decorated with creations sourced from the Camp Carnival kids clubs. Depending on the location, festive-themed deck parties may take place. Competitive types should look out for ugly sweater contests, while the vocally gifted should seek out the choirs performing Christmas carols. On ships with character appearances such as Disney Cruise Line and Carnival, expect them to don festive attire or take on a festive twist. On Carnival, the Grinch makes a special appearance for Christmas as part of the cruise line's partnership with Dr Seuss Enterprises. Some ships host religious service for passengers and crewmembers that wish to attend. If the ship is in port, you may want to head to a local service instead. Each of Hurtigruten's Norwegian coastal ships docks for 24 hours from Christmas Eve where passengers can join local church services. Many ships are purposefully scheduled to have a sea day on 25 December, while some are booked to spend the day in port. For a pretty much guaranteed white Christmas, make sure you are on an expedition cruise to the polar regions of the Arctic or Antarctica. A Hurtigruten cruise along the Norwegian coastline should experience some snow en route. 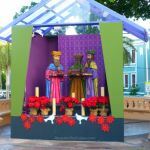 With non-stop sunshine and temperatures averaging 30°C, the Caribbean does Christmas a little differently. 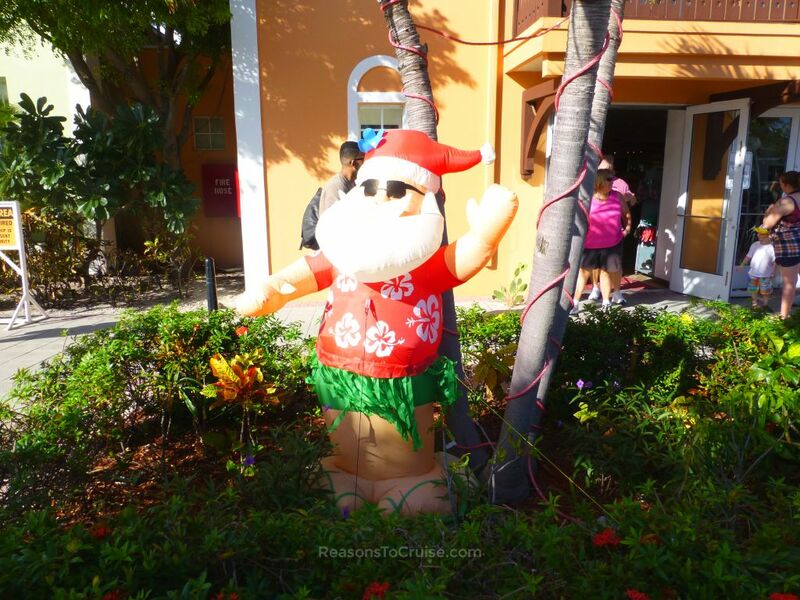 The port area in Grand Turk, for instance, receives rope lights decorating the palm trees and an inflatable Santa sporting Caribbean attire. 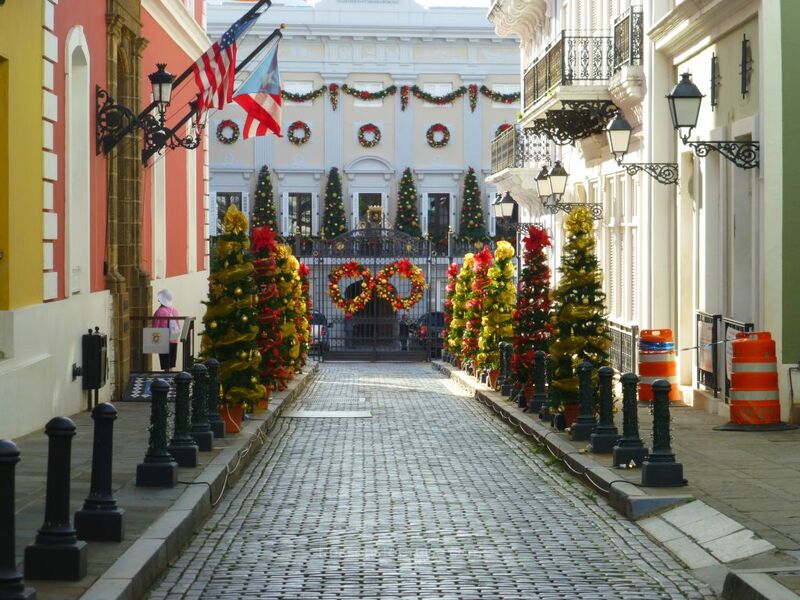 San Juan in Puerto Rico boasts decorative stalls, each representing a different aspect of Christmas, lining the road along Old Town Princesa. Head to La Fortaleza for a treat for the eyes. Christmas may dominate the list of celebrations aboard cruise ships in December, but many cruise lines celebrate Thanksgiving and Hanukkah too. 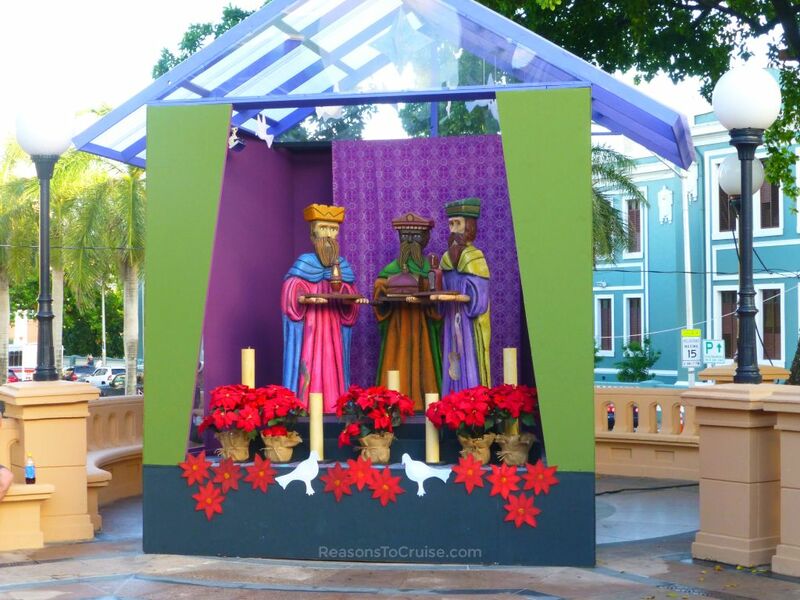 Carnival Cruise Line also allows clergymen of any faith to organise services aboard its ships. An alternative to sailing during the Christmas break is to book a European Christmas Markets mini cruise. 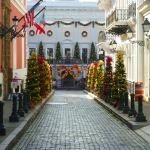 Each December, several cruise and ferry operators offer a selection of trips to explore some of Europe's busiest events. I have visited Bruges, Cologne, and Brussels on these trips and loved each one. The intoxicating aromas of mulled wine, gingerbread, and fresh waffles linger in the cold frosty air as you browse the stalls piled high with crafts or produce. European Christmas Markets cruises are ideal for those looking for a December short break without committing to a longer voyage spanning Christmas Day. 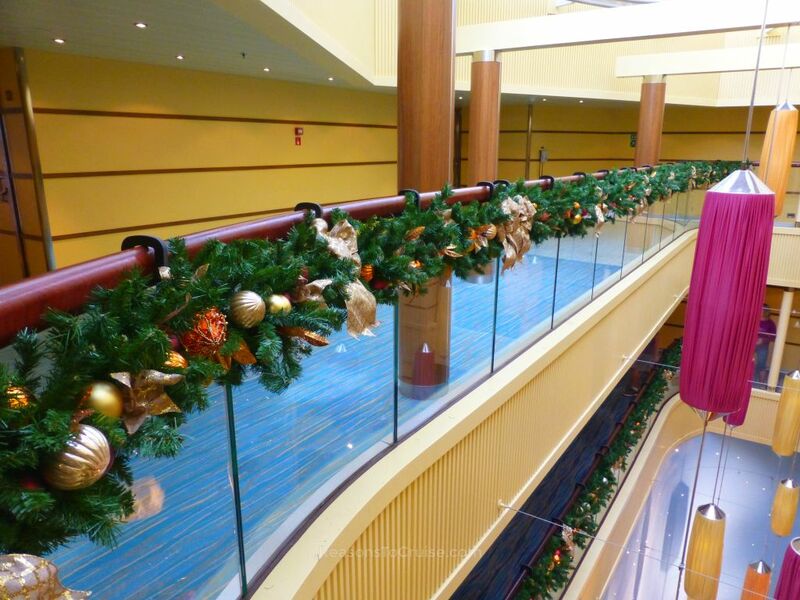 Have you sailed on a cruise ship over the Christmas period? Did you enjoy it and would you do it again? Let me know in the comments below.